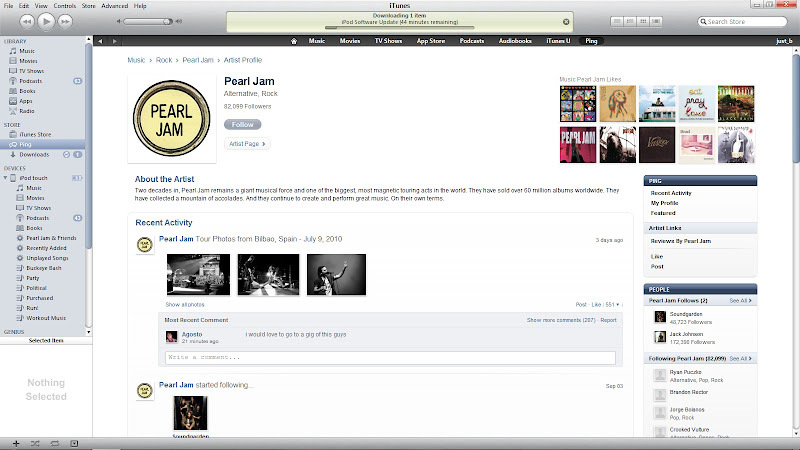 iTunes 10 is pretty new. I haven't had a ton of time to dig through Ping, but if I'm not mistaken, we may have a new source for Pearl Jam news. There are a few sample posts that are nothing groundbreaking, but Pearl Jam fans would be wise to keep an eye on it.